PEOPLE aged 65 years and over will get access to more effective flu vaccines this year, but they will not contain all the strains approved for the rest of the population. The two stronger vaccines available for the older demographic both exclude the Brisbane-like flu strain. The Brisbane strain has been approved for use within the mainstream vaccine, meaning the general population would be given a four-strain – or quadrivalent vaccine – for the 2018 flu season. The other, called Fluad, contains an substance to boost the immune system’s response to the vaccine. About 30 per cent of people reported reactions at the injection site with these stronger vaccines, up from the usual 20 per cent for standard vaccines, but the majority were mild to moderate reactions. 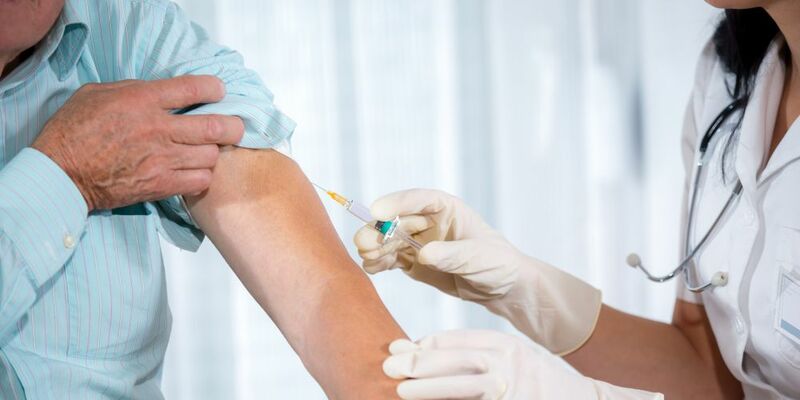 A Federal Health Department spokeswoman said these vaccines were only registered for use among those aged 65 years and older, having been designed to address this groups less effective response to seasonal influenza vaccines. “Australian surveillance data shows those aged 65 years and over are affected more by ‘A’ strains that are circulating in the community, than they are by ‘B’ strains. Both of the new vaccines contain two ‘A’ strains and one ‘B’ strain,” she said. Two brands of vaccine for over 18s have been approved, along with two for children including a variation for infants aged six months to three years. Peak flu season is typically June to September in Australia. More than 12 per cent of WA’s population is aged over 65 years and in 2016 this age group formed a fifth of the total flu cases with 23 per cent requiring hospitalisation – yet the proportion of seniors getting the flu vaccine was down to 56 per cent.